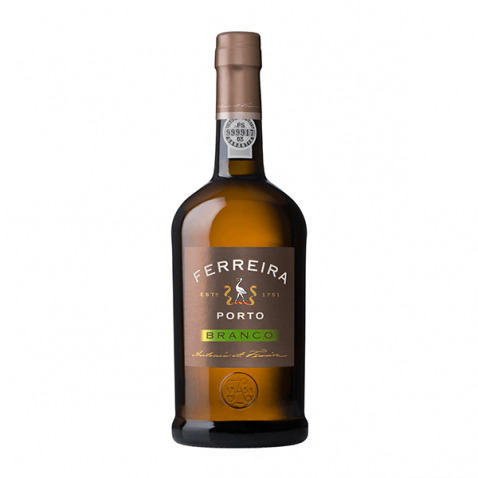 The Ferreira Branco (£6.12): a fortified wine from Port produced by Ferreira with port, rabigato, malvasia fina, malvasía, godello and códega grapes and shows an alcoholic strength of 19.50%. 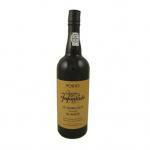 The Ferreira Branco is the ideal fortified to combine with dates and candied or dried fruits. 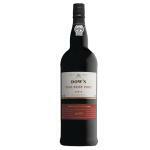 According to Uvinum users, this fortified wine earns 3,8 out of 5 points while wine experts grade it as follows: wine spectator: 86. FERREIRA WHITE is a classic White Porto, an attractive and rich wine, with the genuine flavour of the best wines produced in the Douro region with all the care and know-how acquired throughout more than 250 years of excellence that established Ferreira as leading quality winemakers and the number one brand in Portugal. FERREIRA WHITE has an appealing yellow-straw hue and a fresh but intense aroma, with attractive floral and fruit tones. Soft and very well balanced in the mouth, it is a rich and full wine, with added complexity and nobility deriving from a careful ageing in wood. 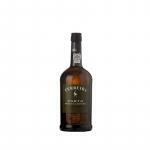 Served chilled, on its own or accompanying dry fruits and toasted almonds, Ferreira White makes an ideal aperitif. For a highly refreshing option, full of flavour, please try a 'Ferreira Tonic', serving in a tall glass ½ of FERREIRA WHITE Porto, ½ of tonic water, ice and lemon. FERREIRA WHITE PORTO is bottled ready for drinking and will not improve if kept for a long time. The bottle should be kept upright, protected from direct light and excessive humidity at a constant temperature (about 16º C-18º C). When opened it does not require decanting and maintains fresh tasting notes for about 4 weeks. FERREIRA WHITE is produced from a strict selection of traditional white grapes - Malvasia Fina, Códega, Rabigato, Gouveio, among others - grown in high stretches of the best vineyards of the Douro Region, in places where fine maturing with well-balanced acidity may be obtained. FERREIRA WHITE is vinified using the traditional Porto wine method. Hand-picked grapes are softly crushed and, after partial stalk-removal, fermented with maceration allowing the best components of the grape skins to be extracted. The whole process takes place under strict control of both temperature and wine density, making it possible for the winemaker to choose the ideal moment for the addition of wine alcohol, fundamental to halt fermentation and keep Porto wine natural sweetness. That moment depends on vine varieties, stage of maturation and final sweetness levels required. the traditional company lodges at V.N.Gaia and stored in oak casks, where they will age for several years. During their ageing, the oenology team monitors the wines and acts through blending, refreshing and corrections whenever tasting so determines. The wines selected for the final blend are usually between 2 and 5 years old, ensuring an end product that is rich and balanced, with about 3 years of age. In the third bottle, the wine is somewhat murky and loses quality, I hope the remaining are correct. 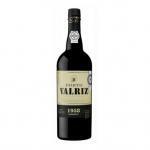 -Nariz: A cool but intense, with floral tones and attractive fruit aroma. 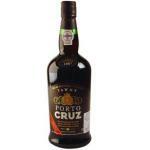 I bought some bottles of this Porto Ferreira Branco at Uvinum. Attractive and intense colour. Nice,dense, warm in the mouth. 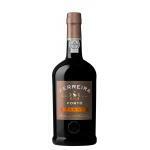 - View: Ferreira White Port has an attractive yellow color. 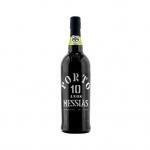 - Nose: a fresh but intense, with floral tones and attractive fruit aroma. Color very intense, typical Ferreira White Port. The texture of this House Ferreirinha was oily. We do not choose well the dish but the wine was good. 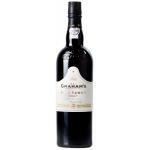 It is a fortified wine that is worth. Ferreira Branco Porto é um vinho do Porto branco clássico, atrativo e rico, com o sabor genuíno dos melhores vinhos. 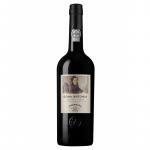 If you want to buy Ferreira Branco, at Uvinum you will find the best prices for Port fortified wine. Buy it right now at Uvinum, in a 100% secure and easy process. We offer more than 59.000 products for sale which makes us leaders in the sector of selling wine, beer, and spirits in Europe thanks to more than 38.000 customers enjoying Uvinum.